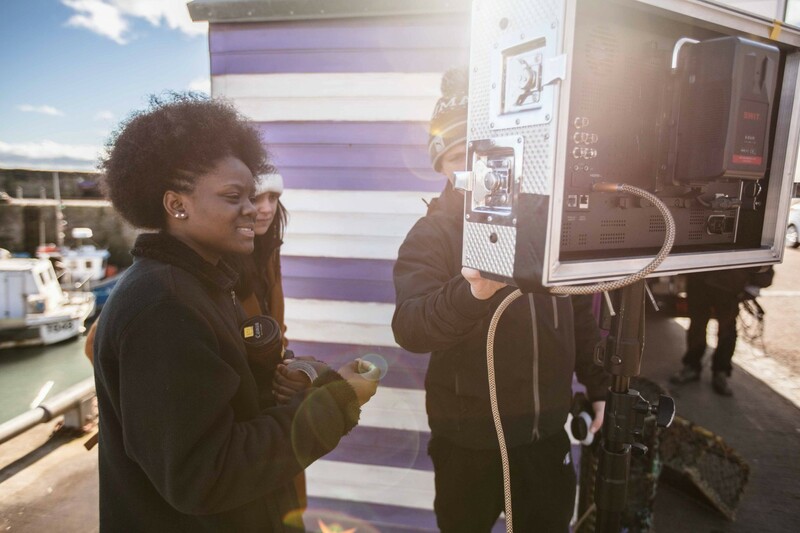 The BA Filmmaking is a scripted, drama-based, practical filmmaking programme aimed at those who are passionate about storytelling in cinema or television. It is a rich and challenging environment for students who are keen to develop their storytelling skills and have the passion to produce and develop exciting drama content. Taught within RCS and on location, this conservatoire-based programme explores the main aspects of drama filmmaking, from the development of film craft skills, directing, producing and writing short and long form content for film and television. At RCS you have the opportunity to work with actors, composers, directors, dancers and musicians, as well as your peers from production, including scenic artists, stage managers and technicians. The programme has critical thinking at its core, with workshops and seminars designed to enhance your ability to appreciate what has gone before as you craft the stories of the future. You will benefit from industry contact, which can include working on professional sets, becoming part of the crew on a professional production, masterclasses and expert tuition from industry practitioners. We’ll help you to develop your ideas and your creativity to the highest level, as well as offering you the opportunity to make films and tell stories. You will engage with the mechanical and creative elements of developing ideas for film and television, designed to develop your writing skills and creative awareness. Your ideas will be challenged and workshopped in a classroom environment. You will learn about film craft skills in camera, lighting, post-production, sound recording, producing and directing within workshops, and these will link into your Film Project. As well as making your own film, you will work across other roles on your peers’ productions. Your film and television studies lectures and seminars will inspire your creativity by exploring the masters of storytelling, both current and historic. At the end of the year you will originate a short film of up to five minutes, as well as produce an outline for an original television drama. You will continue to develop your film craft skills and begin to find your own distinct visual style through practice and exploration. You will improve your skills in directing and producing through the production of a short film made throughout the year (each student will direct a short film, of up to 10 minutes.) You will also work on peer projects in various roles which will enhance your craft skills. The writing will develop with the delivery of a short film script and a first episode or series outline for a television drama. Withn your film and television studies, you will further explore storytelling focusing on single directors or television shows. You will hone your practice of independent responsibility and development by choosing a negotiated path of study for the practical output you are involved with. You will also have the opportunity to choose between further developing your television series outline from seond year or creating a new one-off television drama. You will submit a research project in your final year that focuses on film or television criticism in relation to your project work. Throughout years two and three, there will be the opportunity to study subjects from a group of Options modules offered to you from a variety of departments within RCS. These Options offer you the opportunity to further enhance your skills in your discipline or explore other related disciplines that are of interest to you. There are also seminars and workshops delivered by guest professionals who previously have included Andrew Macdonald (Producer Ex-Machina, Trainspotting 2), Michael Hines (Director Still Game), Jed Mercurio (Writer Line of Duty – in conjunction with BAFTA Scotland), Helen Wright (Filmmaker and curator of The Scottish Queer International Film Festival) and Peter Mackie Burns (Director, Daphne). We provide a mix of visiting lecturers and tutors and experienced full-time staff. Our visiting staff are current industry practitioners who are therefore able to bring the best of current sector practice into the classroom before our students take it back out to the industry. We have master classes with some of the best talent in the industry. Our students have worked with Richard Attenborough, Tony Marchant, Emma Thompson, James McAvoy, Billy Boyd, Bill Paterson, Peter Mackie Burns and Tom Vaughn. Most of our shooting is done on location and that means our students are trained to the highest level in industry practice. Films are photographed on industry standard equipment, including the RED EPIC. Other camera formats include DSLR, Sony Z100 and several Go-Pros. We allow students to shoot on formats that they might have access to (with prior agreement from our editing staff). We have access to a classroom with 18 iMacs all equipped with Avid editing software. In addition, there are three dedicated edit suites for Filmmaking students only. Our films have also been praised for the quality of their sound and our students use industry standard Sound Devices mixer/recorders as well as having access to SQN mixers and Sound Devices 744 and 422 mixers with Sennheiser and Rode microphones. We provide top level training for our students so we make sure they are supplied with the best equipment that will enable them to execute their film. RCS film graduates are employed by major broadcasters and production companies, and establish themselves as independent filmmakers. Some graduates work freelance for independent companies or on short film schemes, and some have gone on to postgraduate study, including with the National Film and Television School. Student final year films consistently play in festivals worldwide and have won awards including BAFTA Scotland New Talent and Royal Television Society (Scotland) Awards. A selection of our final year student films from the past year is listed below for you to see the quality of the work produced by our award-winning students. To see all of our final year films from the past decade please visit Vimeo. We welcome the Scottish Baccalaureate and will accept combinations of Highers and Advanced Highers. We offer a flexible approach to students taking Higher over more than one academic year and/or who achieve their qualifications in more than one sitting. The language of study is English. Applicants who first language is not English will be required to provide evidence of proficiency in English. We accept the International English Language Testing System (IELTS). Level 6.5 (with no component below 5.5) is required. Applications for direct entry beyond Year 1 will be considered on a case-by-case basis and in accordance with the Royal Conservatoire’s Recognition of Prior (Experiential) Learning policy. If you wish to apply for direct entry, please mark the point of entry on UCAS Conservatoires application as 2 or 3. As part of your application, we invite you to submit a Film Studies written component and portfolio submission 10 days prior to your interview (further details will be emailed to you at least three weeks prior to your interview date and time). Panels will judge applications strictly on the level of creativity shown in the completion of the interview tasks and the ability to tell a story with a finished piece of film. The film studies element of the interview must display an ability to view a film from a critical perspective and not as simply a member of the audience. In this programme, we value creativity and critical thinking as highly as we do technical ability. Critical thinking is especially important because by evaluating the work of others you will learn how to improve your own craft. As an indication of your critical ability, you will be asked to submit a short piece of written work (300 words) from a list of films that the interview panel has compiled. Further details regarding this will be sent with your interview date and time. We require you to create a short, scripted drama based on the guidelines given below. The short must be three minutes in length (including titles and credits) and be based on a script. Both the script and the finished film will be submitted to the interview panel prior to your interview date. At RCS our core work is in scripted drama and we invite you to create a short scripted drama film on the theme of Green. The word green means many things to many people. We will not accept any finished films over the three minute limit. The time limit includes credits and title. All films must fall within the bounds of compliance rules in terms of taste and decency. The Royal Conservatoire of Scotland has the right to reject a script or film submission that it deems not in compliance with taste and decency regulations. We hope you find this brief exciting and it challenges your imagination. The written components and the film have to be with us at least ten days before your interview date. If either is missing, the interview will not go ahead. The interview will also feature a few questions designed to benchmark your film knowledge and viewing habits. If you cannot attend a live interview, please select your audition location as ‘telephone interview’. You will be emailed further details regarding the film studies written element and portfolio submission at least three weeks prior to a telephone interview date. We would recommend that all non-UK applicants choose telephone interviews; there is no advantage to be gained by interviewing face to face. The closing date for all on time undergraduate applications from the UK and EU is 15 January 2019. If you submit your application after this date, we cannot guarantee that you will be invited to audition. The closing date for international applications (non EU) is 31 March 2019. If you do consider to submit a late application, please contact admissions@rcs.ac.uk in the first instance to check we are accepting late applications. Late applications will be considered on a case by case basis. Applicants who apply on time (before 15 January) are invited by email, approximately three weeks before the audition date, to RCS to undertake an audition/interview. 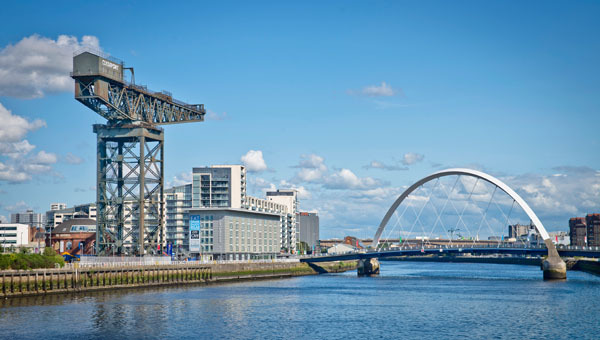 All auditions/interviews will take place at RCS in Glasgow unless you have chosen another location. Please note that RCS is only obliged to offer one audition/interview date per application. Alternative dates will only be provided (subject to availability) in exceptional circumstances. If you are unable to make your allocated audition date, you should email us immediately stating the reason. BA Film Making interviews will take place from mid November to June. The BA Filmmaking course is looking for individuals who have something to say about the world and want to use the visual medium to say it. Storytelling is at the heart of what we do and a keen sense of story and ideas is vital as well as the ability to collaborate. Once the interview process begins we will hold interviews at least every week and at stages in the process – probably around every six weeks – we will be in a position to offer a number of places on the programme. You will have to wait to hear from us but the good news is that you shouldn’t have to wait too long; we do not believe in asking people to put their lives on hold. We may also ask you to submit additional context but this will be indicated at those six-week break points. You will need to create an account, but then you can easily upload the recordings you wish to be considered. Recordings will not be considered until a UCAS Conservatoires application has been submitted. Once you have completed the UCAS Conservatoires application, you should proceed to Acceptd to submit your video recording. We will only accept recordings submitted via Acceptd and will not accept any other format, i.e. DVDs. Panels will judge applications strictly on the level of creativity shown in the completion of the interview tasks and the ability to tell a story with a finished piece of film. The film studies element of the interview must display an ability to view a film from a creative perspective and not as simply a member of the audience. As an indication of your critical ability, you will be asked to submit a short piece of written work (250–300 words) from a list of films that the interview panel has compiled. Further details regarding this will be sent with your interview date and time. We require you to create a short, scripted drama based on the guidelines given below. The short must be between two and three minutes in length (including titles and credits) and be based on a script.